Ray-Cam’s licenced childcare program is taking names for for kids 2.5 to 5 years of age. Our programs provides a hot lunch, 2 snacks, and many great activities such as Arts Umbrella outreach, Music Box, open gym time. Additionally we have nurse practitioners on site, subsidy support, and highly trained ECE teachers developing skills for kindergarten readiness and social development. 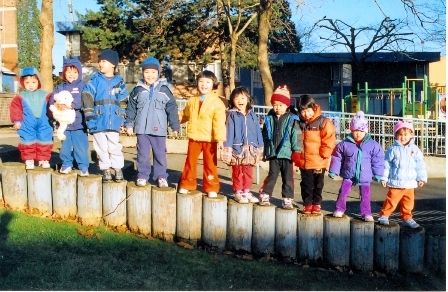 Call 604-257- 6949 or drop by for more information or to fill out an application form for our childcare program. Our licensed daycare provides early learning programs for children ages 2.5 to 5 years old. Our daycare program is based on an inclusive model which means that children who require extra supports are included in all our activities. The program gives all children the opportunity to paint, draw, sing, dance, listen to stories, problem solve, socialize and most importantly to learn while having fun playing with their friends. Parents are encouraged to become involved and to join us for special events. Our fee is $750 per month. You may be eligible for the Affordable Childcare Benefit funding through the provincial government, we have someone onsite who can help you apply for this funding to see if you are eligible. On September 1, 2018, the Affordable Child Care Benefit replaced the Child Care Subsidy. The new funding will help families with the cost of child care, depending on factors like family size, type of care and household income. If you click on the link you will be able to read more information about this benefit, use the online estimator to see if you’re eligible and start the sign up process if you want! We have a staff member onsite who is very familiar with this system and can help families sign up and file all the paperwork to access this child care benefit. Latchkey is a fun-filled after school care program for children aged 5 to 12 years. The program offers a safe environment and creative staff for children during after school hours. The program is divided into two groups: Munchkins for children ages 5 to 8, and Pre-teen for children ages 9 to 12. A variety of nutritious snacks are provided daily. Latchkey will be open full days (10 am to 4 pm) on School Professional Days and over Christmas, Spring and Summer break. Our fee is $250.00 per month. You may be eligible for the Affordable Childcare Benefit funding through the provincial government, we have someone onsite who can help you apply for this funding to see if you are eligible.